Another step along our walk through gardening time brings us to the gardens of Islam, a style and form that still is relevant and active today. But whose origins are over 1,000 old. As we have seen, garden-making requires a peaceful, stable society. 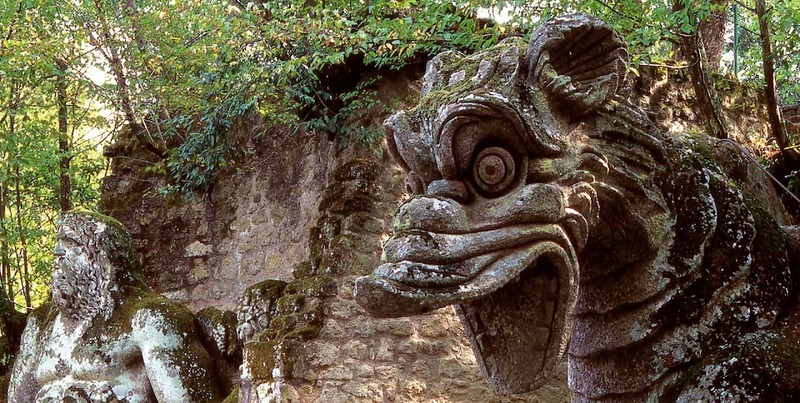 But with the collapse of the Roman Empire in the 5th century AD, Europe was thrown into turmoil and the conditions favourable to garden making were lost. The next major garden making influence that swept from Persia across North Africa and into southern Europe was Islam. The prophet Muhammad founded Islam in the sands of what is now Saudi Arabia in the 7th century AD. And in the Qu’ran the faithful are promised that ‘the Garden of Paradise shall be their hospitality, therein to dwell forever’. 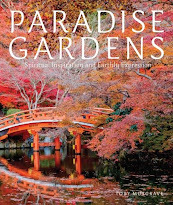 This garden of Paradise is described at length, and with ‘spreading shade’, ‘fruit and fountains and pomegranates’, and ‘cool pavilions’. Add to this heady mix, flowers for colour and fragrance, and moving water cool the air, and make a relaxing sound, and to people who inhabited a desiccated and dusty desert land, this truly must have seemed paradise. 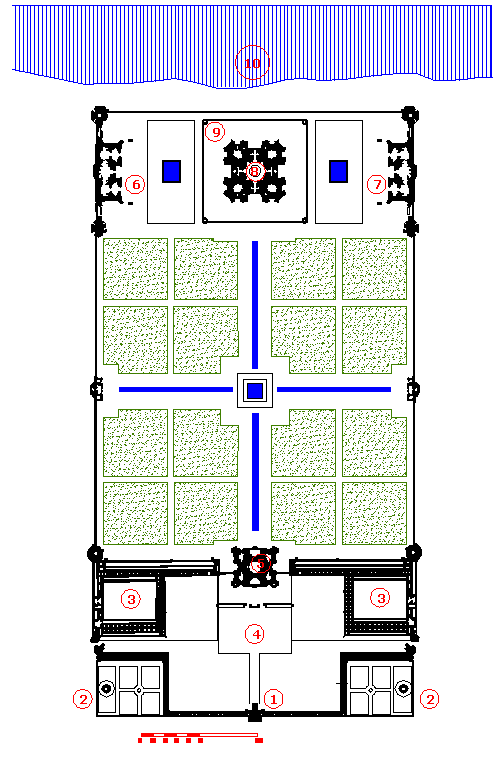 In Persia, the Muslim conquerors found an established garden making culture, with a garden style that had its origins in the palace garden of Cyrus the Great at Pasargardae. Made in the 6th century BC, this featured a quadripartite form, that is to say a square divided into to four equal quarters by two water courses running perpendicular to one another. This form had a resonance with Islam and its belief in Jannah (paradise) and the four rivers of life. So emerged the chahar bagh, which means ‘four gardens (or beds). 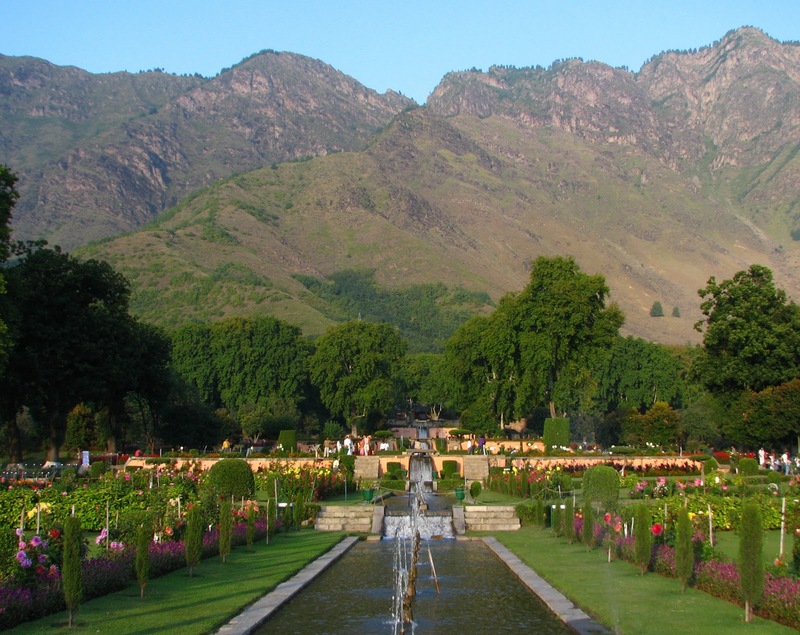 At the centre of the chahar bagh is a fountain or source of water which flows into four rills (narrow canals) that divide the garden into four. The symbolism of the rills is that they represent the four rivers of life (milk, honey, water and wine). 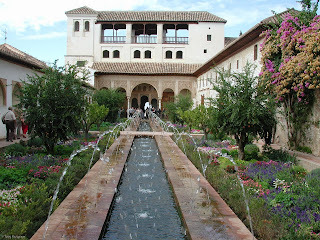 In the garden itself, the movement of the water would have caught the light and brought a dynamism to the garden. 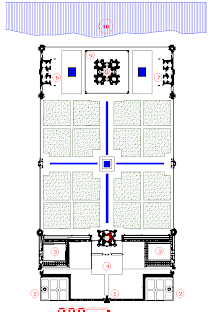 The four beds could be approached in a number of ways - they could simply be paved to create a place to lay cushions and relax. 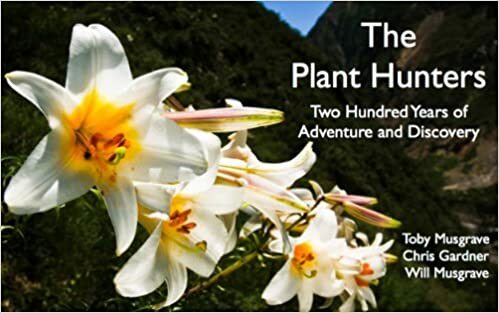 They could be planted with brightly coloured flowering plants; or they could be sunken beds to give the impression of walking by a carpet of flowers. 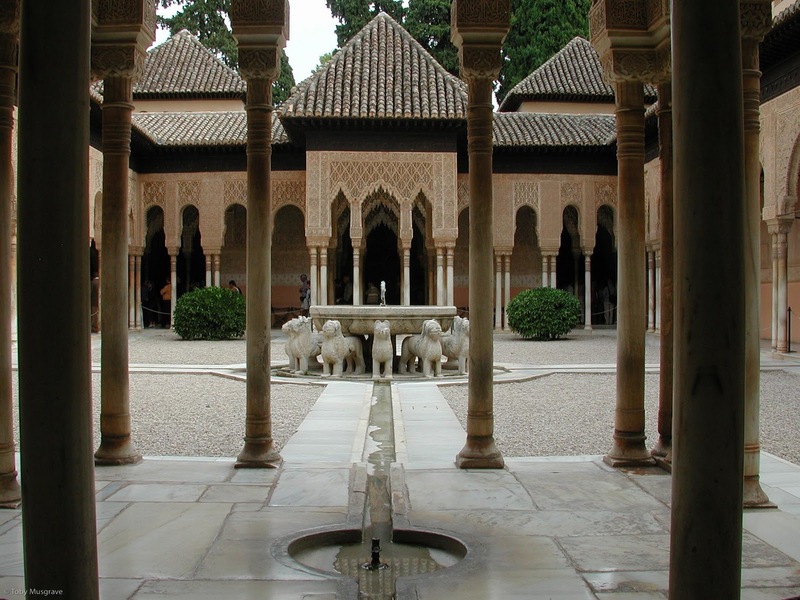 The gravel areas in the Court of Lions at the Alhambra were originally sunken beds. And, as in other religions, many plants have a religious symbolism. As the religion of Islam spread, so did their garden making. And in all countries that were conquered, the conquering artisans assimilated local traditions. 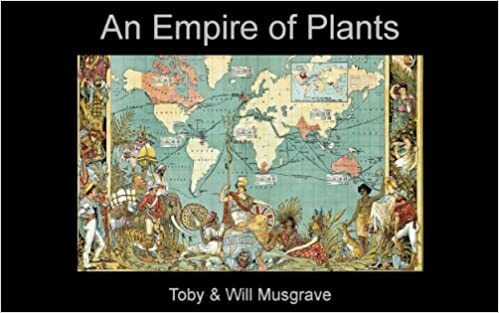 So today, we have variations on the theme from North Africa to Moorish Spain, from Afghanistan to India - the gardens of the great Mughal Empire, and modern Islamic gardens all over the world, including the Gulf States and Indonesia. 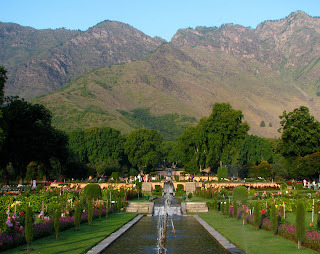 Moreover, the chahar bagh is a an adaptable garden form that allows much ingenuity and adornment, and which can be scaled to fit any space and topography from a tiny, level courtyard in Cairo to an large park that cascades down a hillside to Lake Dal in Kashmir. 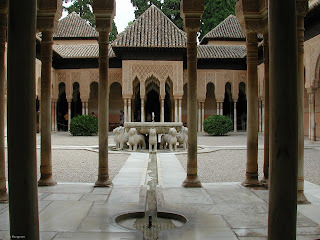 If you want to see an Islamic garden then Spain has the Alhambra in Granada, and the Alaczars in Seville and Cordoba. 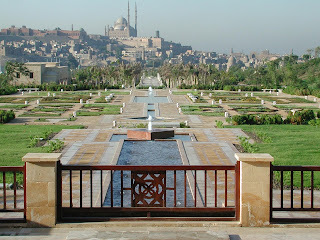 There are gardens in Morocco, and, of course the Taj Mahal in India. 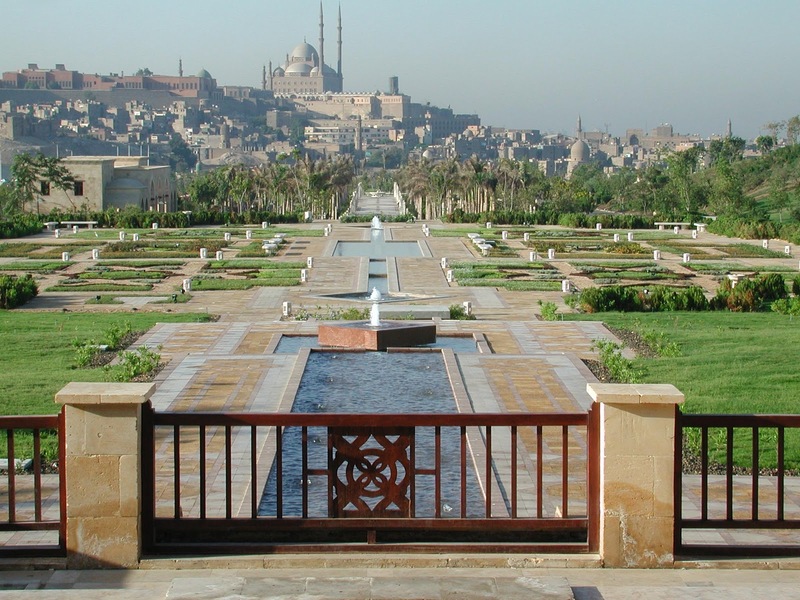 A lovely new example is the Al-Azhar Park in Cairo. See also my earlier post on Persian Gardens.